The iMac Pro is fast, but who is it for? Today marks the release of the iMac Pro, Apple's first all-in-one desktop aimed at professionals. The question isn't how it looks (like the regular iMac, but in Space Gray) or how it runs (fast), but who it's for. It would be tempting to just say "creative professionals" -- the term we tech writers always fall back on when describing Apple users -- but that doesn't suffice here. 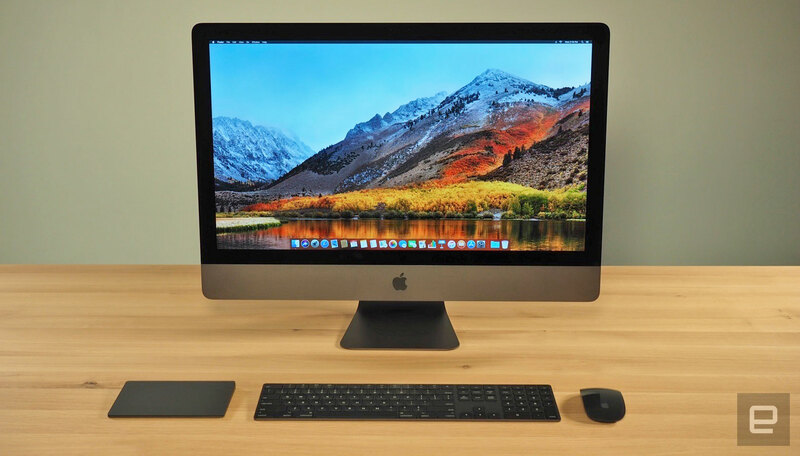 For starters, the sort of photographers, videographers and audio engineers we assume would appreciate the iMac Pro might already be well served by the regular 27-inch iMac. And besides, not all of the use cases are even creative. Other professionals likely to tax their machine include scientists, radiologists and developers, to name a few. As I'm sure you're aware, I am none of those things. Neither are my colleagues nor any other tech journalist I know. So it probably wouldn't disturb you, then, to learn that although I saw the iMac Pro in action this week, I did not personally use it. I'm well trained in reviewing laptops meant for everyday use, but a workstation-class machine that could be used to edit 8K video or render an automotive design? Not so much. Instead, Apple assembled a motley group of developers to perform hands-off demos of their apps on the iMac Pro. Rather than tell you what you already know -- that this is the fastest Mac ever made -- let's talk about the people for whom it might make sense to spend $4,999 on a desktop. But first, let's recap why the starting price is so damn steep. For that staggering entry-level price, you get an 8-core processor from Intel's workstation-class Xeon W series, paired with a Radeon Vega Pro 56 GPU, 32GB of 2666MHz DDR4 ECC RAM and 1TB of solid-state storage. Included is a Space Gray keyboard and matching mouse, though you can order it online with a Magic Trackpad instead of or in addition to the mouse. Regardless of your configuration, the display is a 27-inch 5K (5,120 x 2,880) panel with 500-nit brightness, a billion colors and support for the T3 color range. If those specs sound familiar, it's because that's the same panel used on the regular 27-inch iMac. In fairness, it really is a stunning display. Instead of traditional VRAM, Apple packs in 8GB of high-bandwidth memory (HBM), wherein the memory is built on to the same package as the graphics chip, allowing for that greater bandwidth. Upgrade and you get a Radeon Pro Vega 64 GPU with double the memory. Apple didn't discuss this during its initial iMac Pro announcement earlier this year, but under the hood, the machine also makes use of a custom T2 security chip -- not dissimilar from the T1 chip in the MacBook Pro that stores your Touch ID login credentials. In this case, the T2 oversees a number of the machine's components, including audio control, the controller for the FaceTime camera, the SSD controller and system management controller, and the image signal processor. Similar to the T1, it too has a secure enclave for storing things like passwords. It also has a hardware encryption engine, which takes the burden of encrypting data off of the CPU. If that base model isn't enough, you can upgrade to a 10-core, 14-core or 18-core processor. (The 14-core option wasn't known before today.) If 32GB of RAM isn't enough, you can opt for 64GB or 128GB. Keep in mind that even if you play it safe and get 32GB or 64GB, you can always add more RAM later, though not without the help of a service professional. For storage, you can upgrade to 2TB or -- and this is a first for the Mac -- 4TB. All of those configurations are available to order today, but the 14- and 18-core models won't ship until January. And if you want to see it up close before buying (reasonable), Apple says the iMac Pro will start showing up in retail stores next week. I saw the iMac Pro used in eight demos over the course of roughly three hours. Some, but not all, of the use cases were creative. The app Gravity Sketch, which is already available on PCs through Steam, is making its debut on the Mac. I watched co-founder Oluwaseyi Sosanya don an HTC Vive and proceed to flesh out the wireframe of a Renault-style car. I followed his progress on a nearby TV as he laid out base curves and drew in some firmer lines. At one point, he duplicated elements by clicking a button on the Vive controller. The experience seemed smooth (a refrain you'll hear from me a lot today), with no latency that I could see. Many of the demos I saw centered on virtual reality -- both the experience and the creation of. Twinmotion 2018 is a real-time, 3D visualization software for architects (or Sims nerds like me). The virtual worlds you create there can be viewed on the desktop, in VR or as a 360-degree videos on mobile devices. A new version of the app is being released today, with the ability to control the finest of details -- even changing the weather and time of day in a scene. Make it nighttime, and the lights in your building automatically turn on, as do the buildings in the distant skyline. From there, you can drag and drop elements like trees and even people. Then, you can decide how they look and how they're moving. Yes, we ended up with a dancing man in the departures terminal. What of it? In a guided demo, I watched as we explored an international airport, rotating, panning out and, at other times, zooming in on the finest of details. As you can imagine, a virtual airport feels about as sprawling as the real thing, but I didn't notice any lags as we wandered around. No ghosting as we zoomed in and panned out. No waiting for the edges of this virtual world to load. It felt more like being inside a video game than a testing ground where the app was rendering changes in real time. Later in the day, I found myself wearing an HTC Vive of my own, playing a new game called Electronauts. It's a music-creation tool specifically for the iMac Pro, wherein you use the controllers to select beats, instruments and even "beat grenades," not unlike the way you'd choose drawing implements in an art app like Tilt Brush. Survios, the developer behind the app, believes even non-musical types like me might enjoy it (my electronica sounded pleasing enough), but the team also sees it as a space for immersive DJing. As fun as this was to experience, it wasn't as clear why it wouldn't perform respectably on lesser hardware. 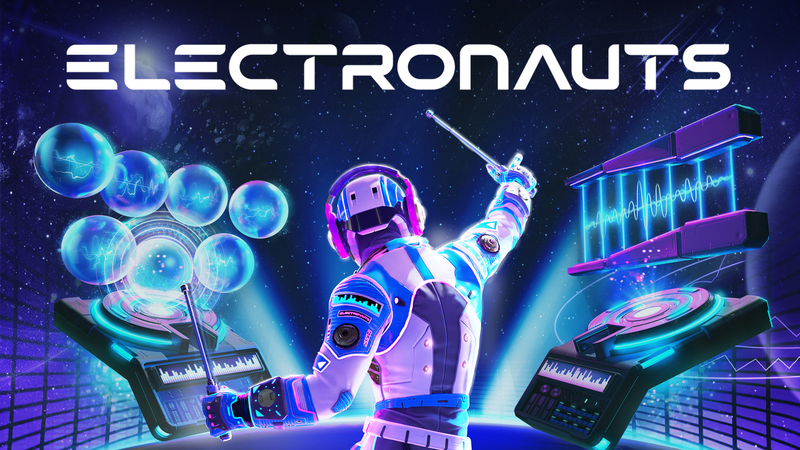 I'm sure Electronauts runs better on an iMac Pro, but I remain unconvinced that caliber of machine is necessary. I think the success of the HTC Vive and Oculus Rift on other systems proves that. Even with its own apps, Apple is taking pains to show it's doubling down on VR. An updated version of Final Cut Pro X, due out today, automatically recognizes when you're working with 360-degree video. From there, you can play back the somewhat flattened-out footage, or export it to a VR headset. Of course, Apple admits that most of its Final Cut Pro X (FCPX) users aren't currently working with 360-degree video. To the extent that the company needs to appeal to traditionalists, it also demonstrated playback of 4.6K raw video shot on a Red camera, with visual effects already added in FCPX. Playback was smooth and the colors, of course, looked vibrant on that billion-color screen. Apple says you can play back 8K video, too, even if the playhead appears to be jumping back and forth. There were many other experiences, too, that involved heavy rendering. Adobe Dimension, out today, is a design app first teased at the company's Max developer conference this fall. It brings a relatively simple interface and lots of templates for people who work on things like packaging -- but who don't know a lot about design tools and don't necessarily care to learn. (The demo I saw was for food packaging.) As with so many other demos I saw that day, the rendering happened instantaneously with logos wrapping around 3D objects like bottles. And, by the way, not all of the use cases tax the GPU specifically. OsiriX, an app for surgeons and radiologists, loaded an MRI image set containing 1,200 files. Scrolling through a separate CT scan, the app created the illusion that this was always a moving image, as opposed to a series of stills. As someone who has had to wait patiently for doctors to analyze bone scans, I can appreciate how faster rendering will mean faster diagnoses for anxious patients. Meanwhile, a couple of the demos showed the CPU being heavily taxed. I saw a new version of Logic Pro X (also out today) playing back a project with 83 tracks and only reaching 10 percent CPU usage. A bigger project with 120 tracks and 32 plug-ins sent the usage up closer to 80 or 90 percent, but even then, the machine got the job done. In a different demo, I saw our tester simulating a heavy developer workload, with three instances of iOS running in an emulator; VMWare running Ubuntu in the background; an older version of macOS running in a separate VMWare container; and the Chrome browser on Windows 10 running in yet another background window. Everything ran unabated, and the machine stayed quiet the whole time. That partially settles the question of who this is for: not just creative professionals (whatever that means), but developers, doctors, scientists and builders. Basically, anyone whose bottom line depends on fast rendering and indefatigable multitasking. The harder question is whether the regular iMac, even a tricked-out model, would suffice. I can't answer that question for you, and I'm not sure Apple can either. I just assume that people who buy $5,000 computers are a self-selecting group. Correction: An earlier version of this story reported that Apple conceded 8K playback will not necessarily be smooth on the iMac Pro. The company was acknowledging the potential for the playhead to move back and forth. We regret the error.